Todd Whitaker has been fortunate to be able to blend his passion with his profession. He is a leading presenter in the field of education. Todd is a professor of educational leadership at the University of Missouri and professor emeritus at Indiana State University. 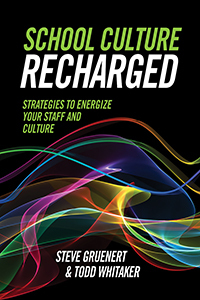 He has worked as teacher and a principal and is the author or coauthor of more than 40 books, including School Culture Rewired, What Great Teachers Do Differently, Your First Year, and Shifting the Monkey.